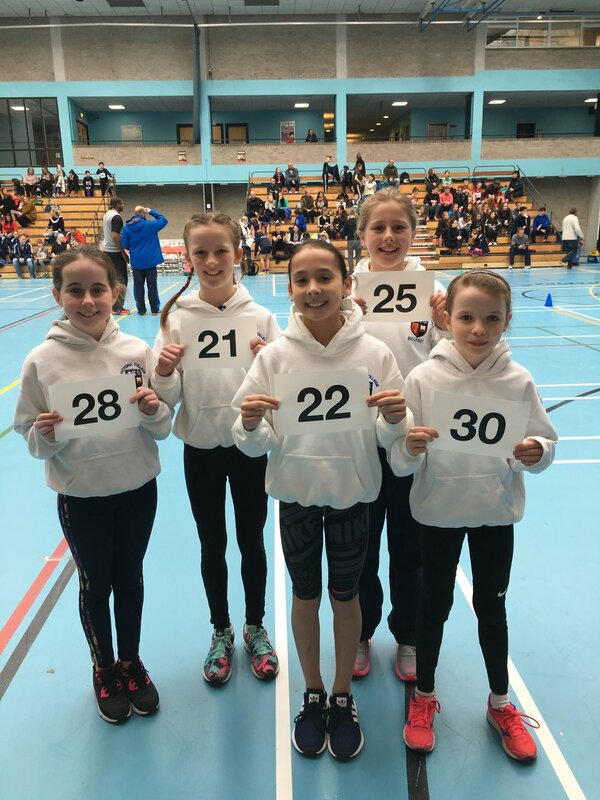 The Prep 7 team competed in the Belfast Indoor Athletics Championships during February and from this 5 pupils were selected by the coaches to represent Belfast in the NI finals. The Belfast team consisted of 10 pupils from across the Primary Schools in the area, so it was a massive achievement that half of the team were representatives from the Prep School. The girls competed in the sprint, distance run, standing long jump and speed bounce events. The 5 girls who were selected were Anna Kennedy, Lucy Ly, Megan Carville, Aimee Hilman and Eva Kelly. Unfortunately, the Bangor team won on the day but congratulations to the girls for such a wonderful achievement at making the area squad. Posted on March 22, 2018 by Miss Thompson.